SURE power/symphonic metal is just ridiculous, all those stupid lyrics, the pomposity and the posturing...wrong! 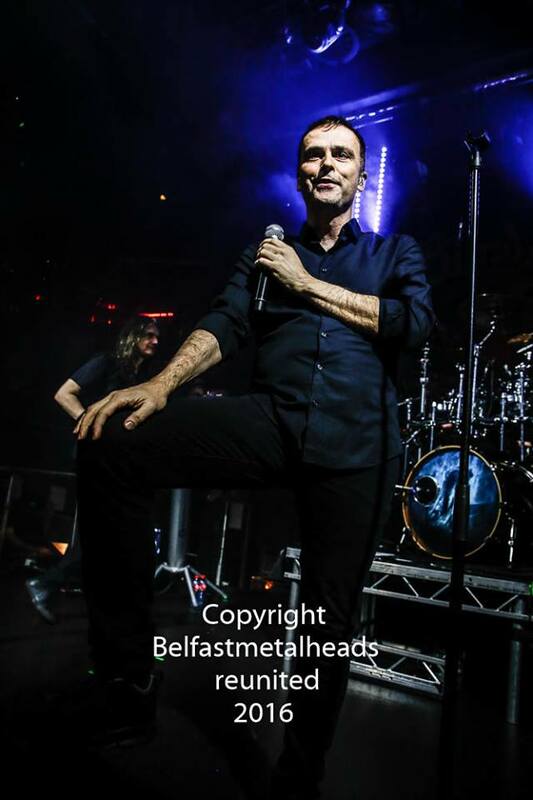 It can be all those things and be magnificent, majestic and much more. 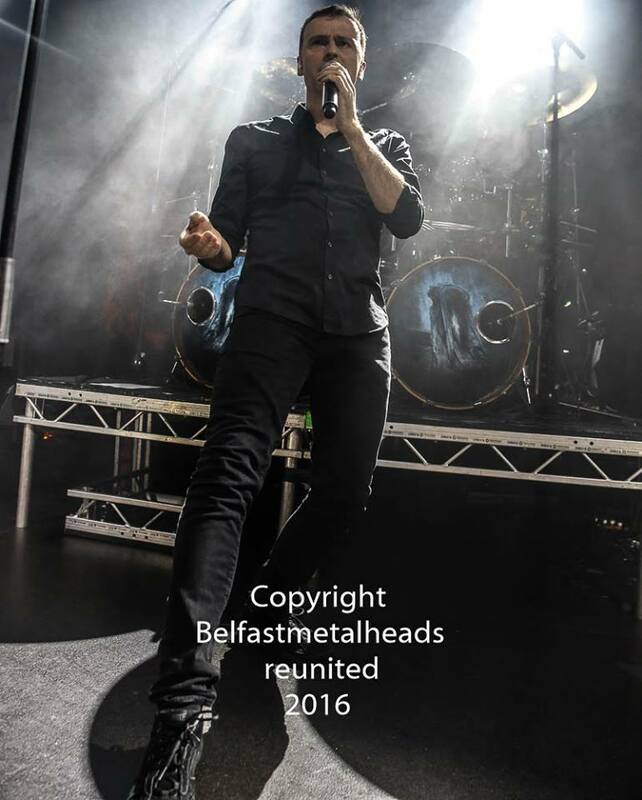 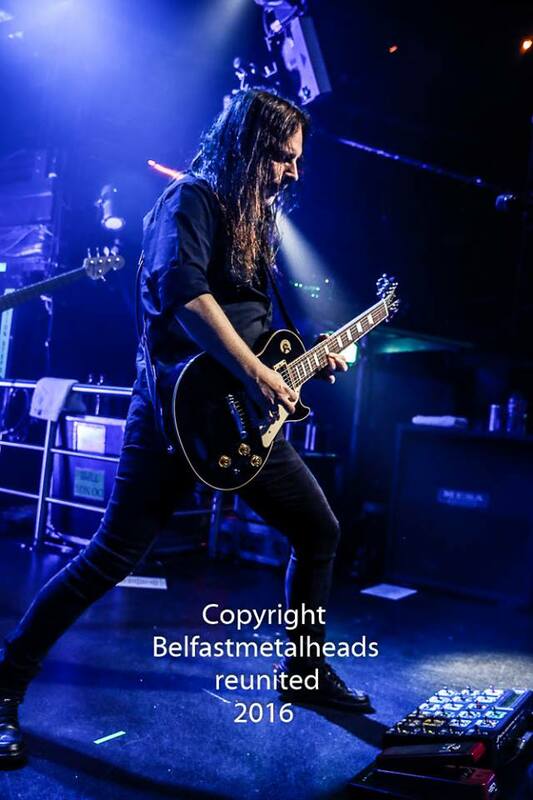 Such was the case when Blind Guardian and Gloryhammerlay siege to a packed Academy in Dublin on 19th May. 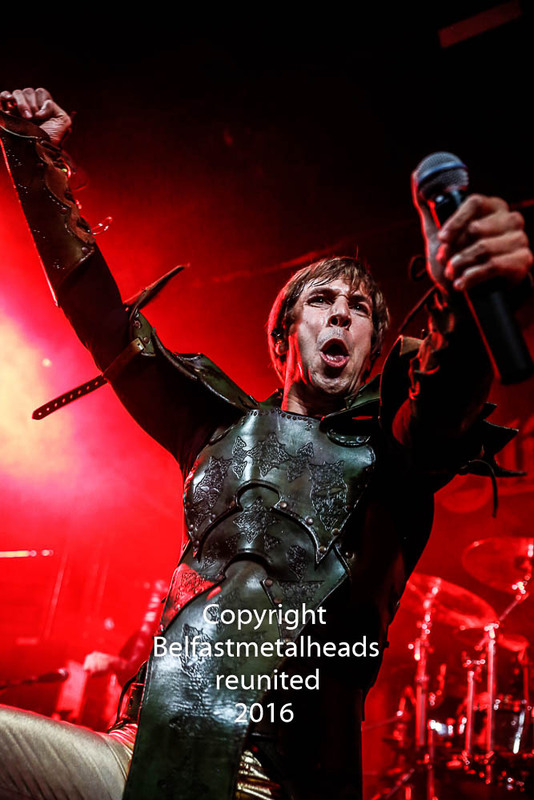 On the topic of silliness Gloryhammer take the proverbial biscuit, munch it up, add an oversize hammer and an extra dash of Hoots. 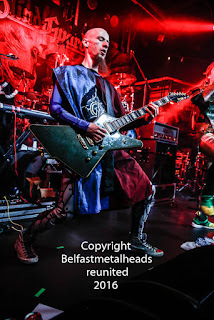 Angus McFife (Thomas Winkler) battled the evil sorcerer Zargothrax (Christopher Bowes) on stage as we morphed between the medieval battles across the kingdom of Fife, to the inter-dimensional space time shift that saw the 'Rise of the Chaos Wizards'. Okay, stop sniggering at the back, sure it is silly, it is preposterous, but it works. 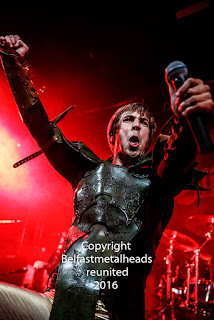 The Academy sang along to 'Hail the Crail' and Winkler was a bundle of energy, cajoling the crowd, and James Cartwright (Hootsman) sank a can down his throat as the audience chanted 'Hoots' in acclaim. 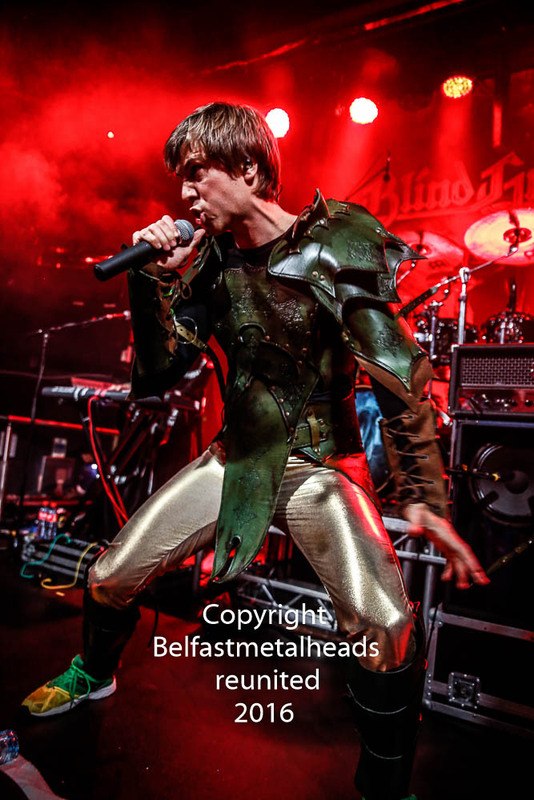 It was a set that won over doubters and earned new fans for Gloryhammer. 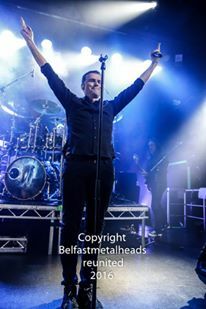 As soon as the lights dimmed later for Blind Guardian the roar intensified as Hansi strode on stage with a grin almost as wide as the stage itself. They are something of symphonic/power metal royalty across Europe since emerging from Krefeld, Germany in the mid 1980s. 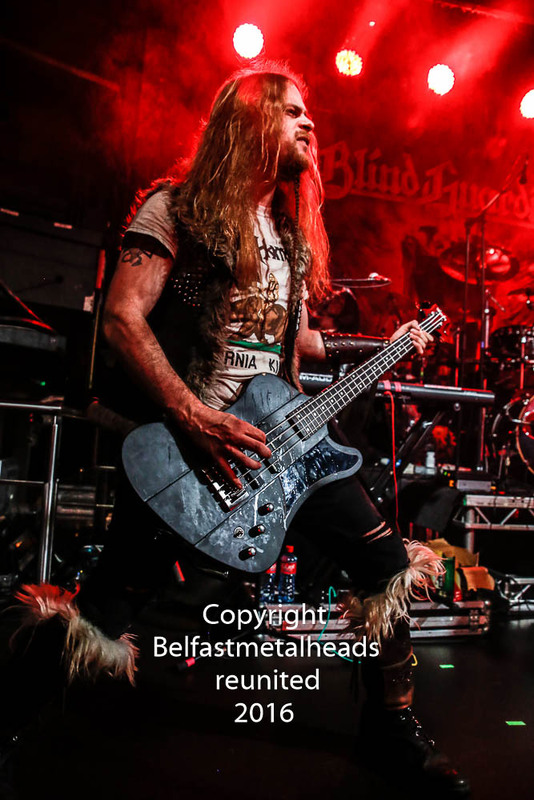 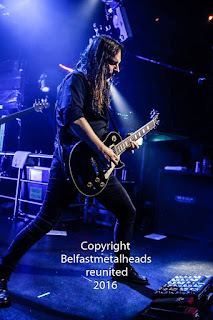 As such the majority of those in attendance were familiar with the songs, and some were even spotted humming along to the guitar solos as André and Marcus played with a telepathic intensity and rigour. The first four songs flew by - well the fourth was 'Fly'. 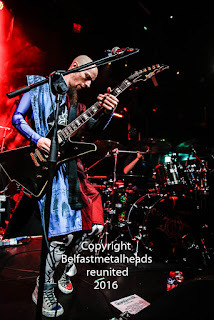 It was a set packed with stand out songs, and in truth was filled with songs that brought the crowd with them into metal ecstasy. 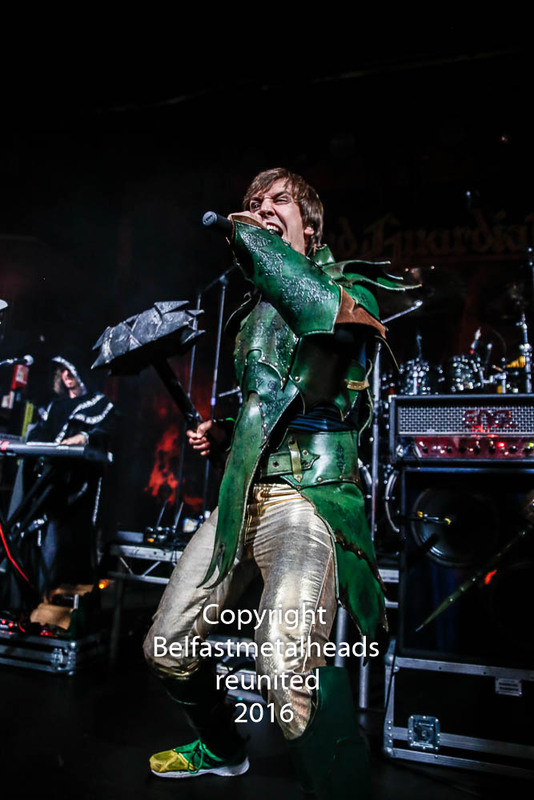 Amongst the stellar tracks were 'Lord of the Rings', 'Journey Through The Dark and 'Valhalla'. 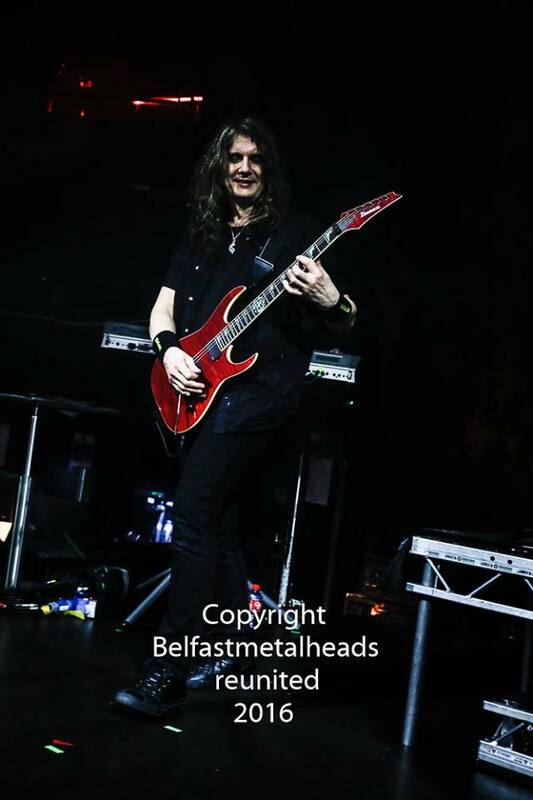 The re-introduction of 'Wheel of Time' into the set received a rapturous response and the closing duo of 'The Bard's Song' and 'Mirror Mirror' bore testament to a band in the shape of Blind Guardian that can pace a set, can perform at just the right level at the right time, and can engage all present throughout their set. 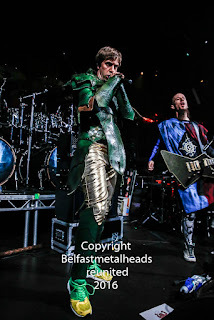 Gloryhammer and Blind Guardian sent the audience out into the Dublin night air happy, smiling, and already exchanging their favourite points of the show. 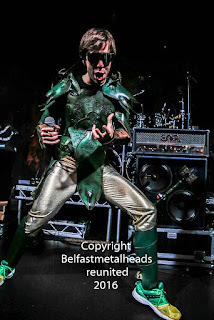 and no matter what part of the music business it is, both bands can slap themselves on the back as to a job well done.